Anode paste briquetting machine is not popular in ball press machine industry, and it can be said a professional design for the Carbon Plant. 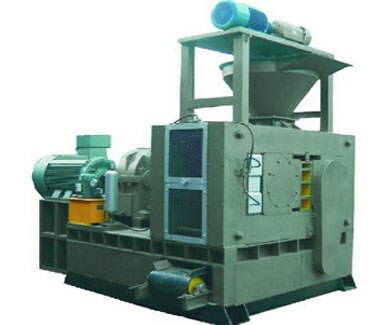 Anode paste briquetting machine only can be used in a few places, so its popularity is not very high. Here the author would like to make a brief introduction to the principle of the anode paste briquetting machine. The anode paste is pasty, so biaxial mixer can’t be used. The temperature of anode paste is very high, so only liquid mixing bucket can be used. The anode paste after being mixed by liquid mixing bucket can be directly fed into the feed hopper, and then be extruded in order to rapidly solidify. Finally, directly put the extruded block into cold water, then the extruded block can be directly molded in one-time. Anode paste ball press machine or anode paste briquetting machine is customized according to customer requirements, so feel free to contact us for purchasing, thank you.